After being swept by Alabama in week five the Southeastern Conference schedule gets even more difficult in week six for UK with a trip to No. 3 South Carolina. The Cats are 2-4 in SEC play and 15-11 on the season, while South Carolina is 4-2 in conference play and 19-5 on the season. Preseason All-America Jackie Bradley Jr. is batting just .303 for the Gamecocks but has six home runs, 22 RBI and 25 runs scored on the season. Friday starting pitcher Michael Roth is 5-1 with a 1.50 ERA in seven games for South Carolina this season. South Carolina is coming off a series victory against then No. 1 Florida. UK freshman left-handed pitcher Corey Littrell will make his first Southeastern Conference start this weekend when he takes sophomore right-handed pitcher Jordan Cooper‘s usual Saturday start. Littrell has excelled as a starter this season, going 4-0 with a 2.89 ERA in five midweek starts. On Tuesday he earned the win after surrendering two hits in three shutout innings while striking out three batters and walking none versus Tennessee tech. Littrell has struggled in a bullpen role with an 0-1 record and 24.30 ERA in three relief appearances. UofL’s pitching staff has been stingy with runs this season, boasting a 4.17 staff ERA and six shutouts. The six shutouts are already the second most in one season in school history. The Cards have shutout Xavier, Pepperdine, Kent State, Minnesota and Ohio State this season and have at least one shutout in four of the team’s seven series this season. On Tuesday UofL held Western Kentucky University to one run, marking the 17th time in 24 games the team had held its opponent to two or fewer runs. No out-of-state Kentucky collegians face a Kentucky college this weekend, so we give you an out-of-state player to watch instead. Florida junior left-handed pitcher Nick Maronde, who is a Lexington Catholic alum, has been a valuable weapon out of the Gators’ bullpen this season. In 12 games Maronde has yet to record a decision but boasts a 2.45 ERA and one save. Maronde has struck out 23 batters and walked just three in 14 and two-third innings. Opponents are batting .246 against the southpaw this season. No. 4 Florida is 4-2 in SEC play and welcomes Tennessee to town this weekend. * — Lueke and Adcock are MLB rookies and will make their MLB debuts with first appearance in 2011. Quinn Roberts of MLB.com reports PLD alum A. J. Ellis won the last spot on the Dodgers roster after Jay Gibbons was forced to start the season on the disabled list. Chuck Jones of The News-Enterprise reports Elizabethtown native Nathan Adcock is “on top of the world” after being selected to open the season in the Kansas City Royals’ bullpen. Nick Jones of the Northerner, the student newspaper of Northern Kentucky University, reports Bill Aker, the first baseball coach at NKU, died Saturday. Geoff Baker of The Seattle Times reports the Mariners have informed Highland Heights native and former NKU right-handed pitcher Josh Lueke he will open the season in the MLB bullpen. Colin Fly of The Associated Press reports Bowling Green native Corey Hart is secure with his spot with the Brewers following his breakout 2010 season and contract extension. Dennis Punzel of Madison.com reports Louisville native and former UofL right-handed pitcher Sean Green may be in danger of losing his spot on the Milwaukee Brewers’ roster when a few pitchers return from injury. Michael Grant of the Courier-Journal recaps the University of Louisville‘s 3-1 win over Western Kentucky University, noting the Cards’ freshmen batters were able to contribute unlike they have through most of the season. 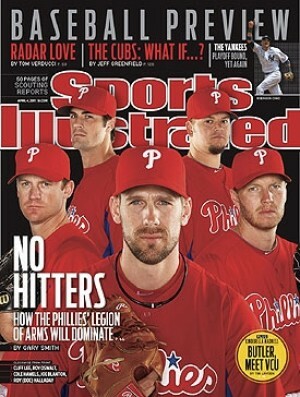 Former UK right-handed pitcher Joe Blanton and the rest of the Phillies’ starting rotation appear on the cover, right, of Sports Illustrated this week. 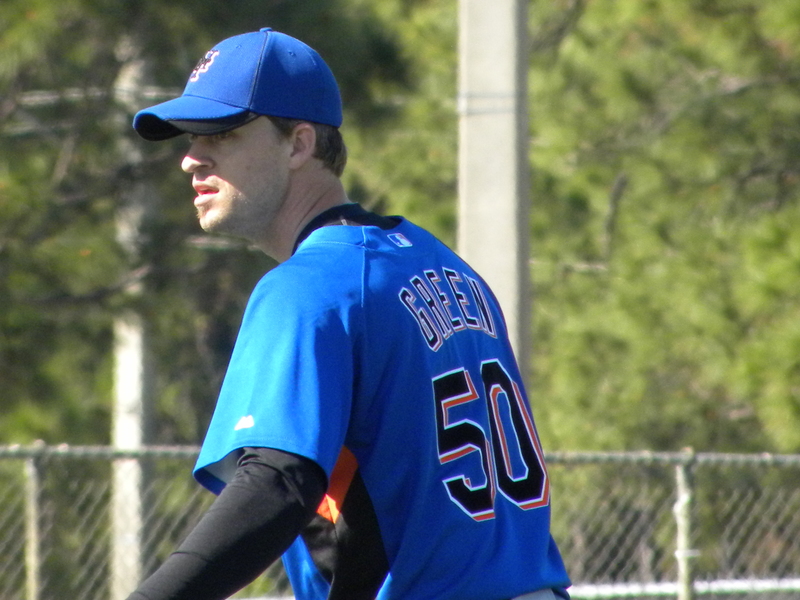 Louisville native and former UofL right-handed pitcher Sean Green earned the win after striking out two batters in one scoreless inning for the Milwaukee Brewers and finished the spring at 3-0 with a 0.77 ERA. PLD alum A. J. Ellis walked in his only plate appearance for the Los Angeles Dodgers. Coastal Carolina senior first baseman Rich Witten, a Danville High School alum, was 0-3 with one walk in an exhibition game versus the Texas Rangers. Washington Nationals right-handed pitcher Tyler Clippard, who was born in Lexington, struck out two batters in a scoreless inning versus the Mets. Atlanta Braves second baseman Dan Uggla, who was born in Louisville, was 1-3 versus the Minnesota Twins. In that same game Braves left-handed pitcher Jonny Venters, who was born in Pikeville, struck out one batter in a scoreless inning. Baltimore Orioles third baseman Mark Reynolds, who was born in Pikeville, was 1-3 with one walk versus the Blue Jays. You can read the BluGrass Baseball recap of the University of Louisville‘s 3-1 win over Western Kentucky University here. 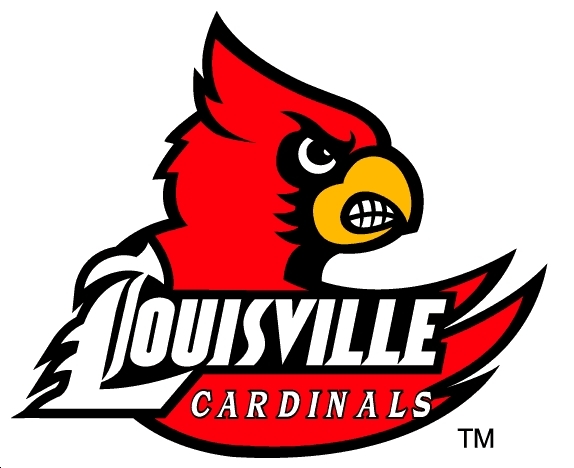 The University of Louisville scored single runs in the seventh an eighth innings to break open a 1-1 tie en route to a 3-1 win over Western Kentucky University. UofL took the lead in the seventh inning when freshman shortstop Alex Chittenden singled home freshman pinch runner Adam Engel. The Cards added an insurance run in the eighth inning when freshman center fielder Cole Sturgeon scored on a sacrifice fly from junior second baseman Ryan Wright. UofL junior right-handed pitcher Derek Self earned the win after pitching one and one-third scoreless innings, and junior right-handed pitcher Tony Zych earned his seventh save after pitching a scoreless ninth inning. In the second weekly leaderboard post we’ll look at the top pitching statistics through six weeks of the college baseball season. To be eligible for the ERA and batting average against categories, pitchers must have at least one inning per team game. Eligible players attend a Kentucky college or graduated from a Kentucky high school. Stats are current through Sunday’s games. Seven players tied with three wins. 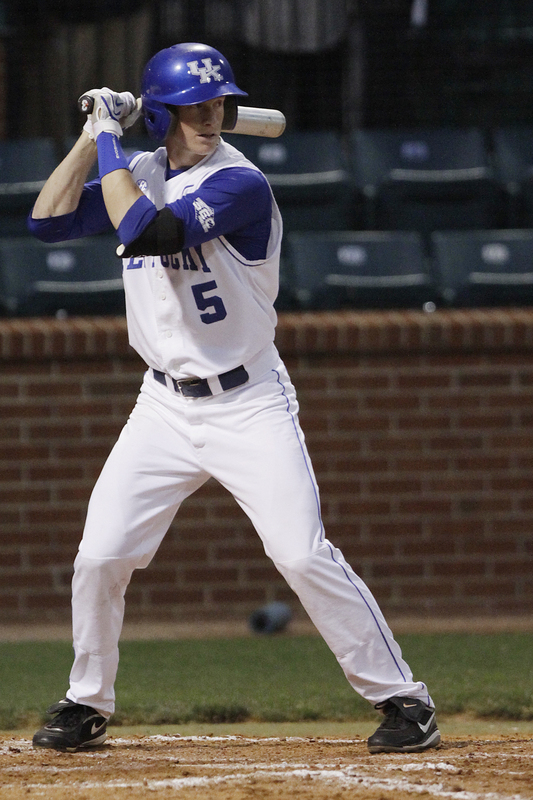 The Chicago White Sox today traded Lexington native and former UK outfielder John Shelby Jr. to the Tampa Bay Rays for future considerations, Mark Gonzalez of the Chicago Tribune reports via Twitter. Shelby batted .249 with 11 home runs, 43 RBI and 63 runs scored in 111 games for AA Birmingham in 2010. He stole 15 bases on the season. The White Sox selected Shelby in the fifth round of the 2006 MLB draft. Meanwhile, former UK catcher Marcus Nidiffer was released by the Houston Astros and signed a minor league contract with the Los Angeles Angels, according to Brent Ingram of the UK media relations department. 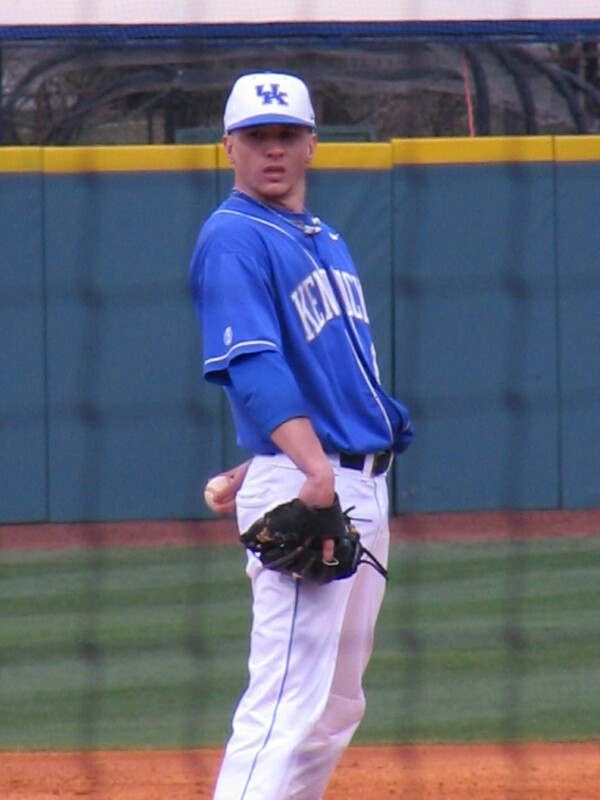 Nidiffer, who spend most of his time at first base during his professional debut, signed with the Astros as a non-drafted free agent following his senior season at UK in 2010. He batted .286 with 14 home runs, 36 RBI and 40 runs scored in 69 games between rookie-level Greeneville and short-season Tri-City. 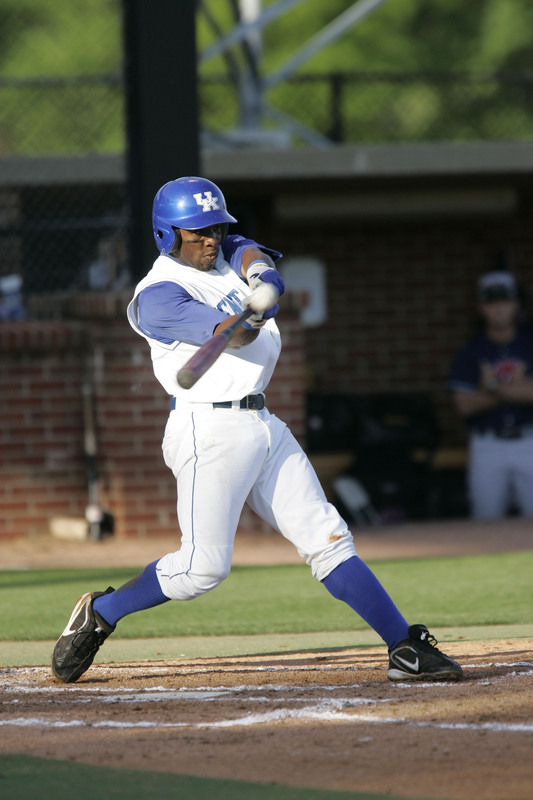 Nidiffer was poised to become the first UK alum to play for the Lexington Legends before his release. University of Louisville redshirt junior outfielder Stewart Ijames was named the Big East Conference player of the week. Morehead State University junior catcher Taylor Davis was named the Ohio Valley Conference player of the week. Bob Dutton of The Kansas City Star reports Elizabethtown native Nathan Adcock, a Rule 5 Draft pick, will open the season in the Kansas City Royals’ bullpen. Kendall Rogers of Perfect Game USA lists the UofL and Western Kentucky University among the 25 teams to watch outside of the website’s top 25 ranking. Mike DiGiovanna of The Los Angeles Times reports Louisville native and former UK left-handed pitcher Scott Downs threw off a mound on Monday for the first time since breaking his left big toe in March and hopes to return by mid-April. Adam McCalvy of MLB.com reports Bowling Green native Corey Hart hopes to return from his strained rib-cage muscle in time for the Brewers series versus the Cubs April 8-10. Richard Durrett of ESPNDallas.com reports Ashland native and former UK right-handed pitcher Brandon Webb was pleased with his Monday bullpen session. Jeff Schuler of The Morning Call profiles Louisville native Matt Anderson who hopes to continue his comeback with the AAA Lehigh Valley IronPigs.